There is something special about the personal service at Ron Wilkin Jewellers Ltd; a tradition now passed down to the second generation of family owners. 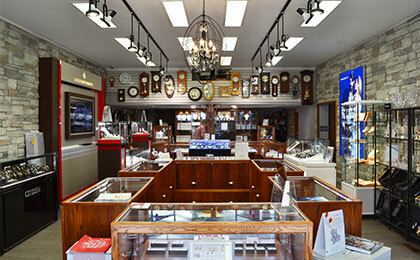 The store has a reputation for their quality selection of elegant jewellery from Canadian diamonds to custom jewellery, engagement rings and wedding bands, to watches for him and her. Giftware and collectibles are also here. Fine china and crystal giftware, with specialty items for every occasion, from Christening gifts to holiday celebrations and everything in between – you’ll find it here.